Houses & Homes VA: Not enough time in the day? Read this! Not enough time in the day? Read this! If there’s one thing that none of us seems to have enough of it is time! Modern life truly is time consuming and regardless of all the gadgets and appliances that we buy to save time it seems that a 24 hour day just isn’t enough to get everything done. 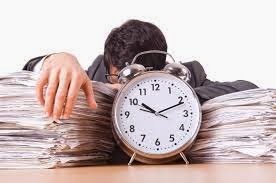 Learning to manage our time more efficiently will not only help us to achieve our goals but will reduce the amount of stress that we must deal with on a daily basis. Here are some great strategies to help you get the most out of what time you do have to get things done! Your very first task in mastering time is to decide which things must be done and which things are less important. In other words, what are your immediate goals? Without a plan of what you need to do, how can you possibly expect to get it done? Make a list of those things which are priorities and must be accomplished each day and forget the rest for now. Concentrating only on the truly important things will allow you to focus better on getting them done and the lesser important things can wait. Write them down and stick to it. This is your guide at to what must be accomplished every day. If you have time for less important matters it’s Ok to do them as well but only after your daily list is 100% completed. You’ll be surprised how much a simple list can help you to get organized and become more efficient! One of the most common mistakes that people make is thinking that extra time equates to getting more done. This isn’t necessarily the case. We all know that if we are tired our concentration and motivation are both affected. It’s not reasonable to assume that you will be as productive 12 hours into your day as you were at the beginning when you were refreshed. If you really can’t get everything done that you need to in the course of your day, than it might be time to consider getting some help or lightening your load. Overworking is not an answer to too much work and can affect your health as well. This also applies to skipping breaks and lunch. Food is energy and with a busy schedule you will need all that you can get. It’s also important to remember that sometimes a short break during the day can re-energize our thoughts and allow us to start fresh. Skipping rest periods can be counterproductive. Don’t be Ruled by Your Computer! This is something that just about everyone is guilty of. It’s strange how much importance we place on incoming emails! Did you know that a recent study has shown that about 1 out of every 3 office workers suffer from what is known as “email stress”? Unlike a ringing telephone an email does not usually need to be answered immediately. If you think about it you can probably delete half of the emails you receive to begin with. Here are the 4 ways to categorize your incoming emails and what to do about them. Delete unnecessary emails that require no action or contain no important information. Delegate it to someone else if possible so that you can deal with more important matters. Defer it to a later time if it can wait so that it does not interfere with your current task. If you can master these 3 simple techniques for time management you just might be more relaxed and get more done!